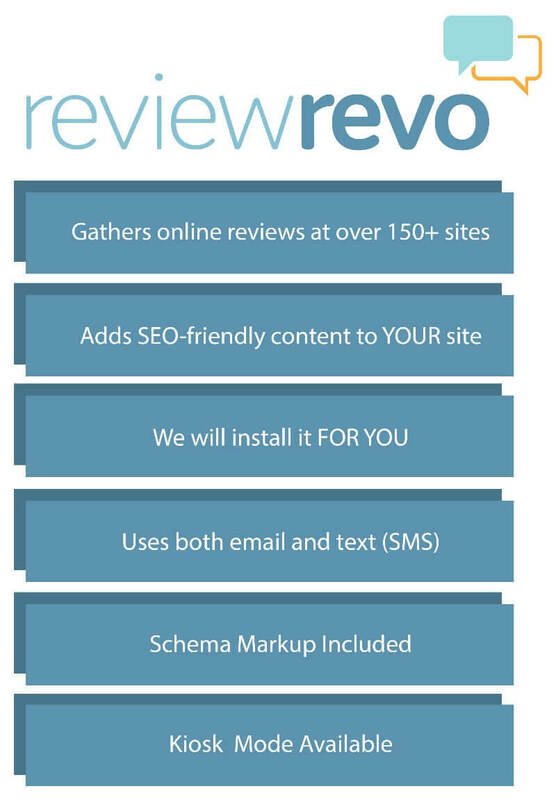 Get More Online Reviews with reviewREVO! …and more. Over 150 integrations across many different industries, including healthcare, service industries, legal and more! Want stars next to your search results? 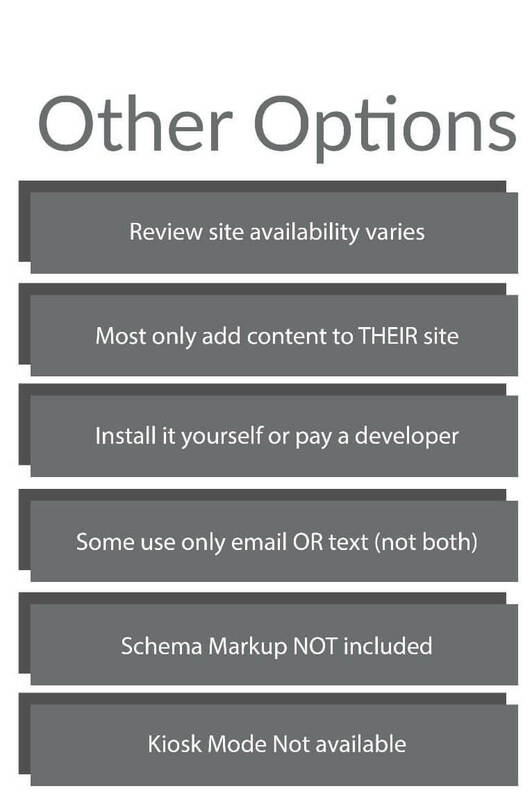 Our system adds review schema to your site, helping you get the SEO-friendly rich snippets. Our system encourages positive online reviews by surveying your customers, then providing them quick access to your review links. Testimonials are gathered and added to your site, giving you additional content and social proof to increase conversion! Studies have shown that when businesses just asked how customers felt, customer satisfaction significantly improved. As a manager or owner, consistent customer feedback is essential to running a successful business. Our system scans the internet for reviews about your business and sends reports to keep you informed. ReviewREVO is easy for you and your customers. 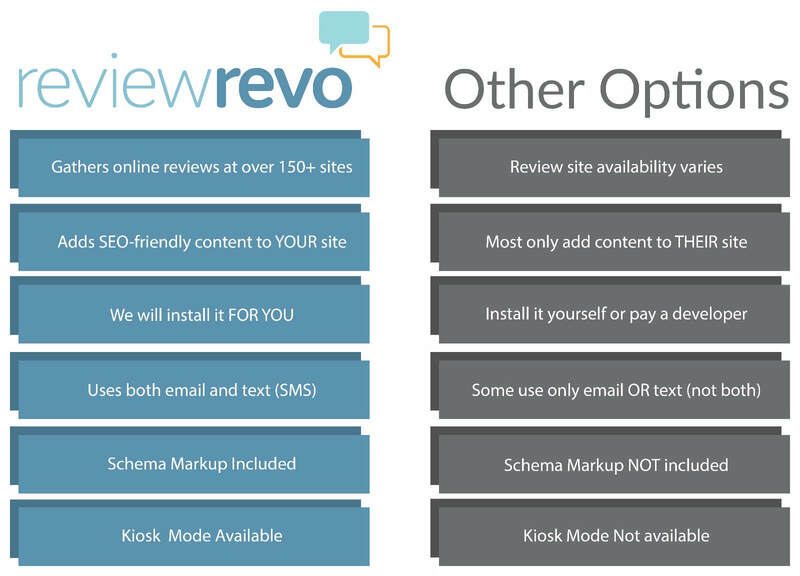 The ReviewREVO system sends a text or email to your customer asking for a rating and/or comment. Your happiest customers are provided links to your favorite review sites. 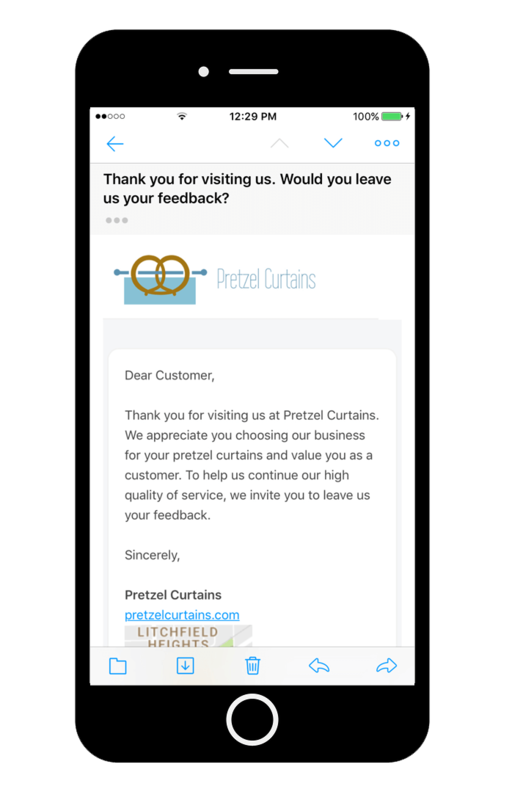 We send you notifications of positive or negative responses, as well as reviews on 3rd party sites (like Yelp or Google). This has been great for my practice. The amount of testimonials we have received has been amazing. I was surprised by how many responses we got initially. It really is a wonderful program. By far, the best system I have used (and cheaper too). Being able to see all of my reviews on one dashboard is a bonus. Love it! More reviews rolling in! Using ReviewREVO is much easier than I thought it would be. We’re here to answer any questions you have! We want to help you be informed so that you can confidently take the next steps to managing your online reputation with us.